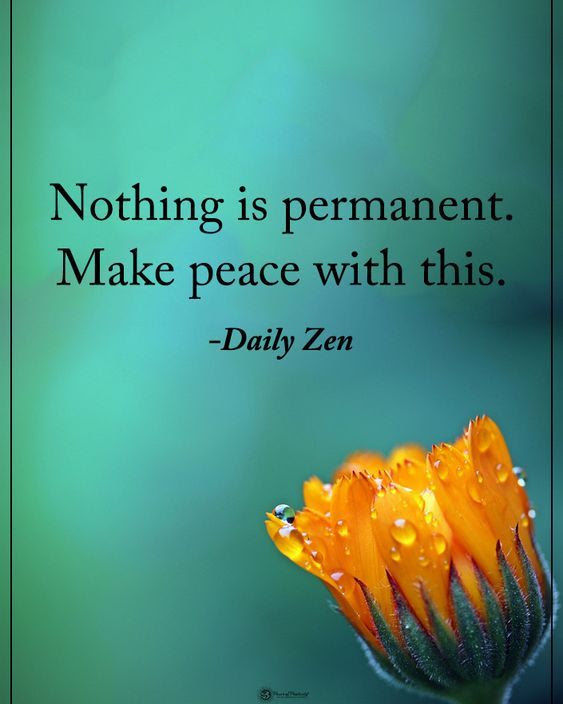 Nothing is permanent. Make peace with this. 1. Your best life begins the day you take responsibility for it. 2. Never let success get to your head. Never let failure get to your heart. 3. Do not claim you want to grow and then run away the minute you feel growing pains. 4. Stepping out of your comfort zone and trying new things is the best way to grow. 5. Social skills are more important than academic performance. 6. You are what you do, not what you say you will do. 7. The tragedy of life is not death but what we let die inside of us while we live. 8. Those that lie down with dogs get up with fleas. 9. If you need something to believe in.. go look in the mirror. It starts with you. 10. Take care of yourself and the ones you love. Nothing is promised forever. Click here to check out LongIslandCashHomeBuyer if you or anyone you know wants to sell a house quickly in as in condition for all cash. Good afternoon Beth - thanks for the quotes. Words to live by. Have a great day. Good evening Beth. This is terrific and I printed it so that I can look at it often. Thanks.